WHICH SOCIAL MEDIA TO USE TO BECOME VISIBLE FOR CHINESE TOURISTS? 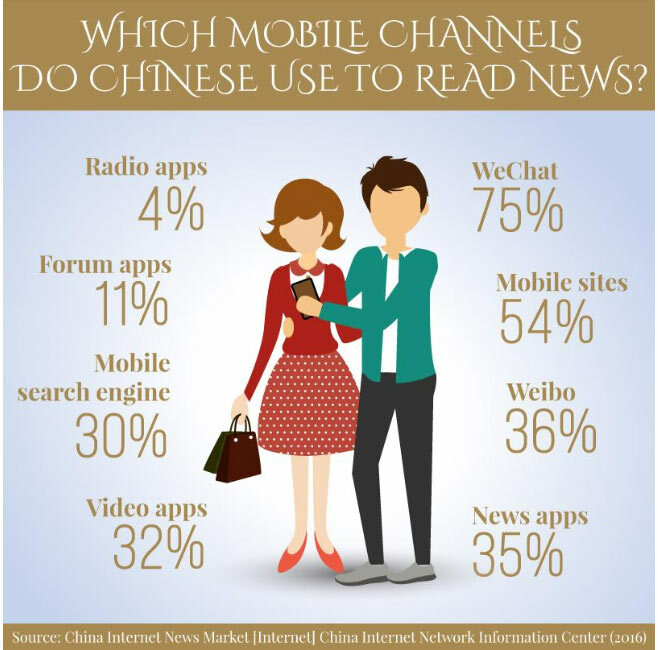 Chinese consumers make extensive use of digital technology, such as internet and mobile devices. Out of the total online population of about 772 million people in 2017, most of them used a smartphone for internet searches, communication via social media as well as for online shopping. Against this background, Chinese outbound tourists interested in European holiday destinations and products can be best reached by using the most popular social media channels – specifically by posting relevant content and by online search engine optimisation for conducting targeted marketing campaigns. Why do you need to adapt your social media strategy to the needs of Chinese tourists? 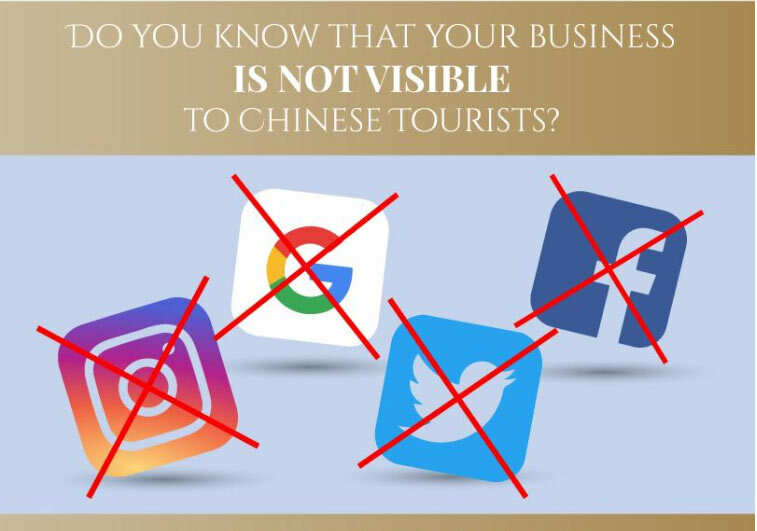 Even if your website has an English-language version and can easily be found by search engines such as Google, and although you might already have a social media presence with Facebook, Twitter or Instagram, this does not mean that your business is actually visible to Chinese tourists! There is a simple explanation: these social media platforms and search engines are widespread in Western countries, but are not accessible in China because of government restrictions. Chinese companies, however, have developed their own search platforms and applications that offer similar and indeed better marketing opportunities if you want to reach out to Chinese tourists. Here is the first takeaway: The social media landscape and online search engines are different in China as compared to in Western countries. Therefore, you need to adapt your social media and online business strategy to become visible to Chinese tourists and attract them to your business! What are the most important search engines and social media platforms in China? There are a growing number of newly emerging social media platforms and search engines in China. When unfamiliar with the digital landscape in China, it is difficult to detect and understand the most effective online tools and devices that make you visible to Chinese tourists. We are happy to share our insights about the most important search engines and social media channels with you. Baidu is the largest Chinese-language search engine, often being called the ‘Google of China’. Similar to Google, it searches the internet for content. Baidu is where Chinese travellers typically start their background research about destinations, comparing hotels, sightseeing tours and other travel-related products. The first recommendation for you is that your website must be indexed by Baidu. In this case your product or service has the chance to be found by Chinese tourists using this search engine. To be indexed, you need to send your website’s URL to Baidu by using the following link: https://ziyuan.baidu.com/linksubmit/url. Baidu represents an excellent marketing platform for European tourism-related businesses. Placing an advert among search results can be a very efficient way to get traffic to your official website. This is especially relevant for tourism- and retail-related businesses located in the destination of travel itself. Baidu is where tourists typically turn to do initial research about prospective destinations. 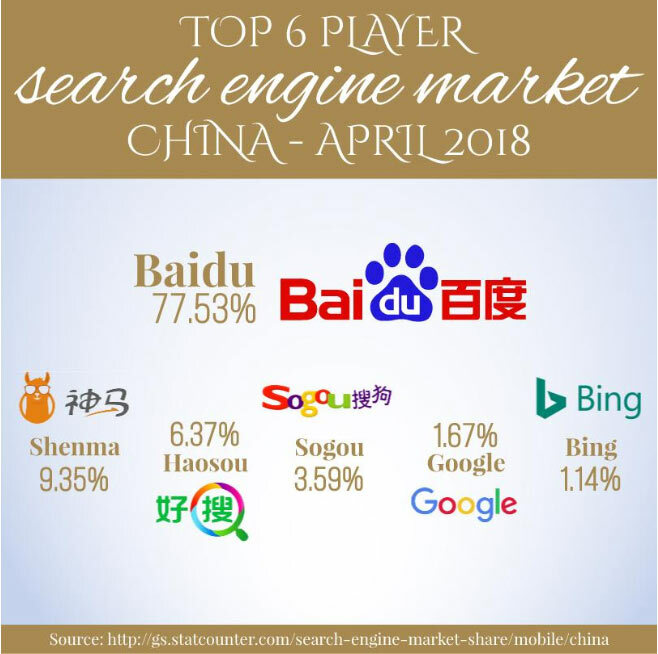 Here is the second takeaway: You can make your business visible on Baidu by indexing and conducting SEO at the inception point where Chinese tourists even begin their research into travel destinations! Our number one suggestion regarding all social media channels in China that you should include in your marketing strategy is WeChat! It is not simply an app, but also a multi-purpose platform that offers both companies and individuals a multitude of different functions. WeChat’s three main functions include instant messaging, ‘official accounts’ (which are similar to blogs or newsfeeds) and ‘moments’(which are similar to Facebook). In addition, WeChat offers the possibility to make online payments, via WeChat Pay. By January 2018 almost 800 million users had already used this mobile payment service. Mobile payment is also very popular among Chinese tourists travelling overseas. According to a survey undertaken by Nielsen in 2018, 65 percent of Chinese tourists use mobile payment during their overseas travel. The scope and reach of WeChat is very impressive: According to a recent interview by Tencent CEO Pony Ma, WeChat passed the one billion mark of active users during the Spring Festival 2018. There were 902 million average daily logged in users in September 2017 – that means 65 percent of Chinese consumers are using this app daily, sending 38 billion messages every day and spending about 66 minutes on average per day on this app. High-spending Chinese luxury travellers from first-tier cities like Shanghai, Guangzhou and Beijing are especially active on WeChat. In these cities, the usage penetration is about 93 percent. Therefore WeChat is the most effective platform for reaching out to Chinese tourists, and we highly recommend that you integrate this key social media channel into your marketing strategy! If you want to start to successfully attract Chinese tourists to your business, you must be active on WeChat! This tool gives you access to around 65 percent of Chinese internet consumers! With a presence on this key marketing platform, you will become highly visible to Chinese tourists. Do you know that you have to adapt your social media strategy to become visible to Chinese tourists? Do you have already experience with the Chinese social media landscape?